For any of you who have ever wondered what will happen to your child with autism when he or she grows up, you are not alone. In fact, the lack of options for autistic adults is a national crisis. One local autism mom took a look at the situation and decided to take action. The result is the project called 3 Irish Jewels Farm, an assisted farm living community for adults with autism. President and founder Erin O'Loughlin is the driving force behind 3IJF, which was inspired by her 8 year old son with autism. She and her husband Colm formed a non-profit with the goal of buying land in Wake or Chatham County to create a residential farm where adults on the spectrum can live and work. Their vision is to "offer a person centered home to adults with autism in which they can thrive and continue to grow and learn". The O'Loughlins have a very detailed plan for how the farm will be structured to appropriately support the residents, how it will become a part of the broader community, and ultimately how it may become a model for additional locations. They also intend to offer track-out and summer program for kids with autism. At the recent ASNC Triangle Run/Walk for Autism in Raleigh, I had the pleasure of meeting Erin O'Loughlin and Nancy Butterfield, a board member of 3IJF; it is clear that the group is very motivated to make the dream of 3 Irish Jewels Farm become a reality. Intrigued? Take a few minutes to visit the 3 Irish Jewels Farm website or read their newsletter. You can also show your support by voting for Erin O'Loughlin in the Eagle Rare Life Honor Award and Contest - the grand prize is a $40,000 donation to a charity - I bet you can guess which one Erin would choose! 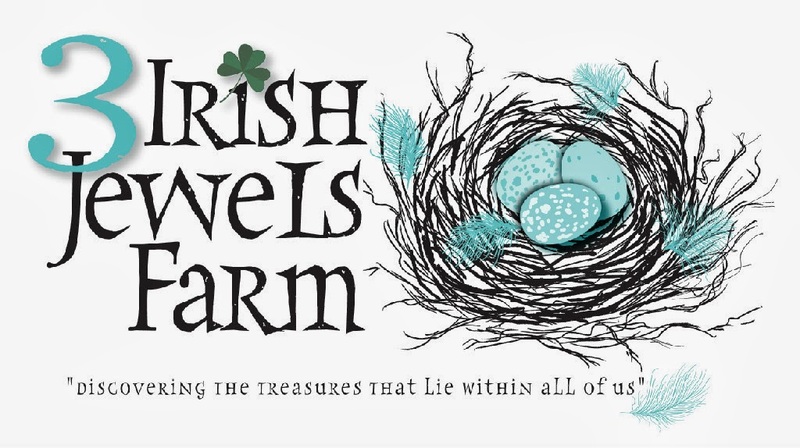 And be sure to check out the video about 3 Irish Jewels Farm that was recently featured on News Carolina 14. We love sharing local autism resources with our readers, and 3IJF promises to be something very special.